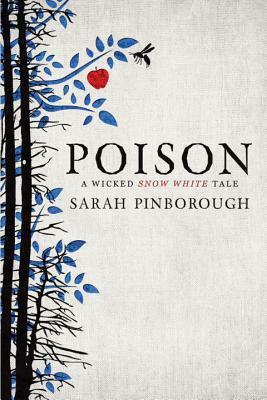 When reading Six Gun Snow White (Cat Valente) and Poison (Sarah Pinborough), I was left thinking a lot about fairytale retellings, how they are approached, and my feelings about them. My past history with fairytale retellings hasn’t been all rosy cheeks and cuddles. Generally, I finish fairytale retellings with a sense of something left wanting, a general dissatisfaction. I have come to the conclusion that fairytale retellings are best done in one of two ways: total overhaul or digging deeper into the original. Both Valente and Pinborough are good examples of these two approaches. Six Gun Snow White is a total overhaul story. It breaks apart the pieces of Snow White and plays with them. It puts them together in a different way. 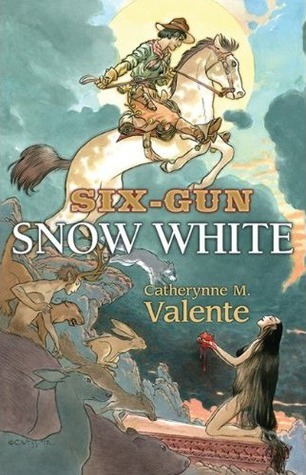 While the story still revolves around the relationship between a girl and her stepmother, Six Gun Snow White varies widely from the original story. Snow White is the daughter of a white minerals prospector and a Native American woman. She’s by and large let free to roam her father’s estate while he travels to new mining opportunities. Snow White has to deal with a physically abusive stepmother who can’t get over the fact that Snow is, in fact, not white. Snow runs away with her six shooter into Crow country. Magic is there, but the mirror doesn’t talk and the dwarves aren’t exactly dwarves. Valente’s story is a great example of an overhaul done right. She takes the themes and elements of Snow White, but isn’t confined by them. It doesn’t feel like a Snow White story bound by its past iterations. It feels fresh and very freed from convention. It would stand on its own if you had never read or heard the original tale. Valente picks and chooses what she likes and makes the story her own instead of just dressing Snow White up in a cowboy hat. Poison is a more traditional retelling. Snow White is still a princess whose father remarries a witch. She runs away to be tracked down by a hunter. All the bells and whistles are still there. What Poison does that I liked with the story is taking previously one dimensional characters and digging in. Pinborough takes the story of Snow White as an opportunity to look at who the Evil Stepmother is, why her relationship with Snow would devolve, and what the characters would be doing, thinking, wanting, etc. Pinborough expands on the story, unlike the more “paying homage” approach Valente takes, and it works. She examines the motivations and repercussions of the characters and successfully builds real people out of a cartoon drawing. She also intertwines some fairytales and gives it a dark ending (Oh, my God, that ending). I think the real point here is that both can be done well, but it’s the divergence and depth that makes a retelling enjoyable. Retellings that work too hard on keeping the plot and story “pure” while also putting it in a different context are a turnoff to me. It binds the story up and doesn’t add to the story’s life. I like the story, but to hold too true to it while still trying to make it something the original story isn’t doesn’t often pan out. Thoughts? What do you think about retellings? This entry was posted in Reviews, Thoughts and tagged Apple, Bashful, book reviews, Books, Cat Valente, Doc, Dopey, Fairytale Retellings, Poison, Prince Charming, Sarah Pinborough, Seven Dwarves, Six Gun, Sleepy, snow white, Wicked Witch. April and May Book Haul and Unboxing! This entry was posted in Book Hauls, Videos and tagged Agatha Christie, Book Hauls, Books, Cat Valente, Elizabeth Bear, Elizabeth Hadon, Marissa Meyer, Scott Lynch, Unboxing.